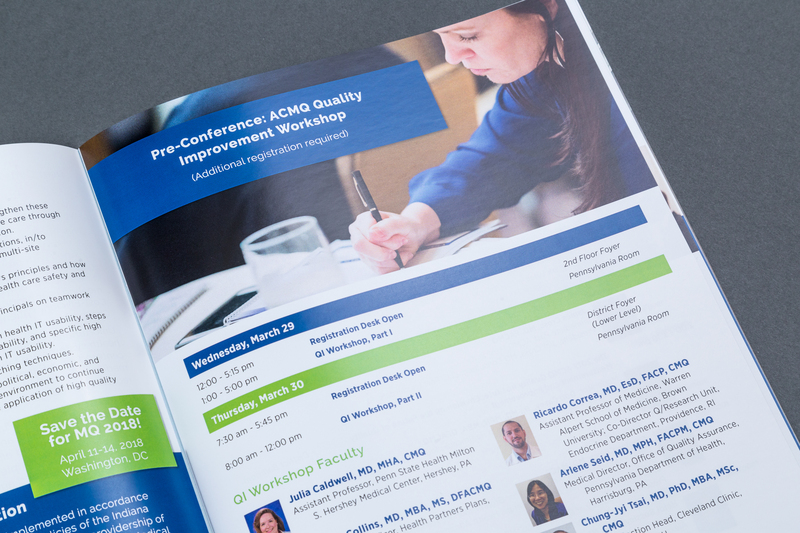 Following the redesign I did of the corporate sponsor prospectus, American College of Medical Quality desired a cohesive design for their annual medical meeting materials. 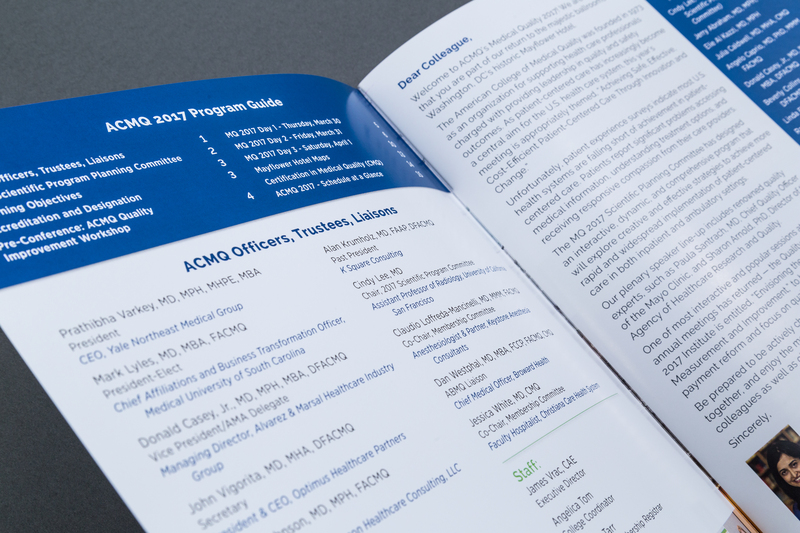 The bright colors for the conference served as a good basis for guiding the attendees’ attention through the program. 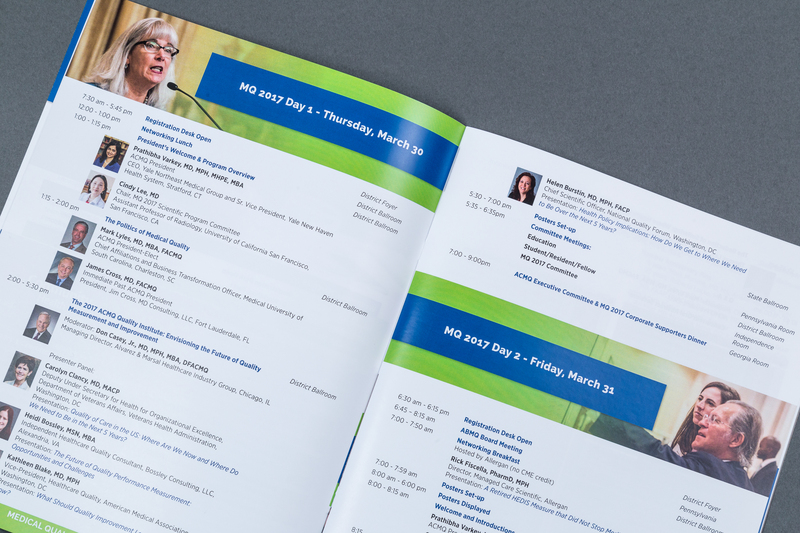 The program included session details for the three-day conference, plus a pre-conference workshop. I used colored blocks to differentiate the offerings for four different concurrent session events. 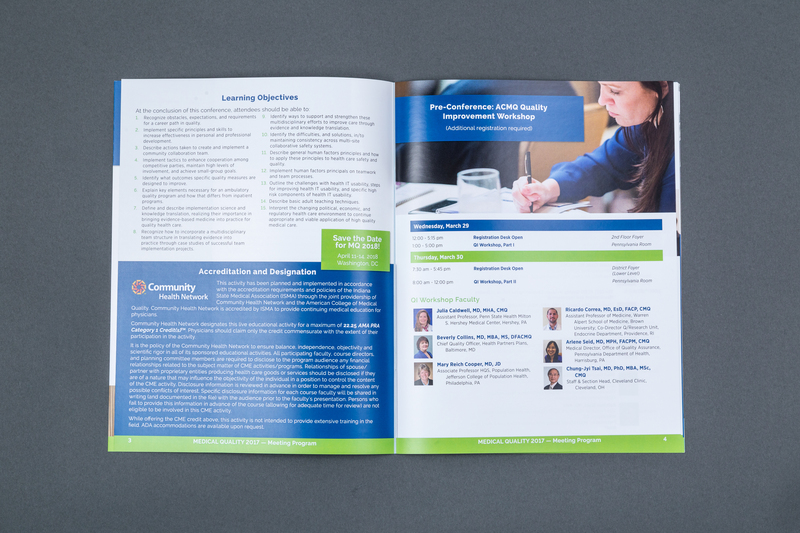 I also neatly laid out speaker and panelist headshots for several of the sessions to highlight noted guests. 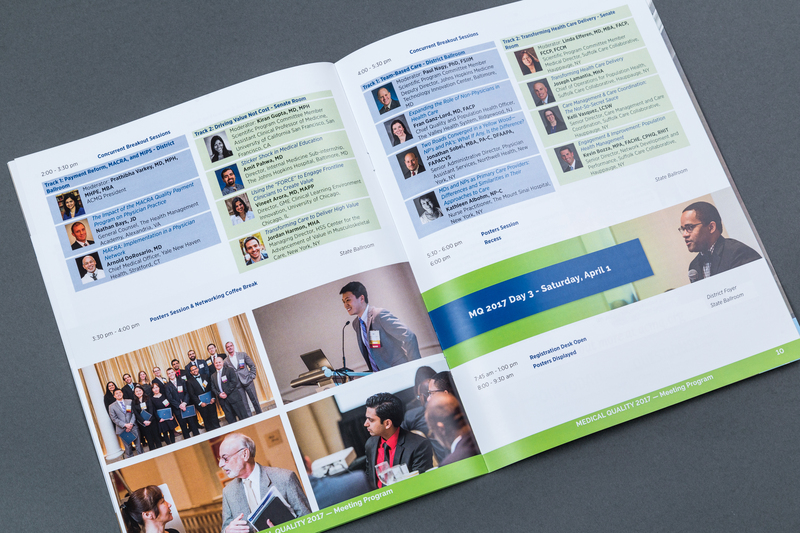 I used photography of the previous year’s conference attendees as day headers and to balance page layouts, illustrating active participation in the events. 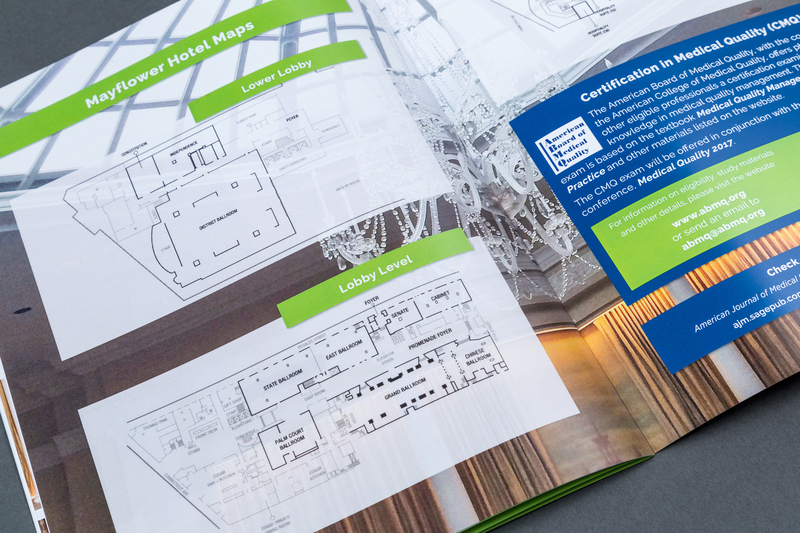 To help the attendees navigate the meeting, I located the hotel maps just inside the back cover for quick reference. 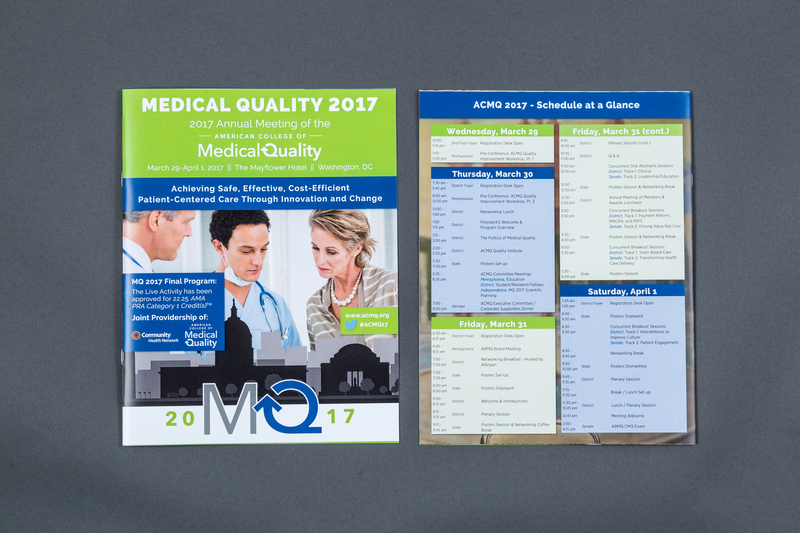 I also worked with the client to develop a schedule-at-a-glance module on the back cover so people could decide which events to attend next, or refer to the interior schedule for more programming details. 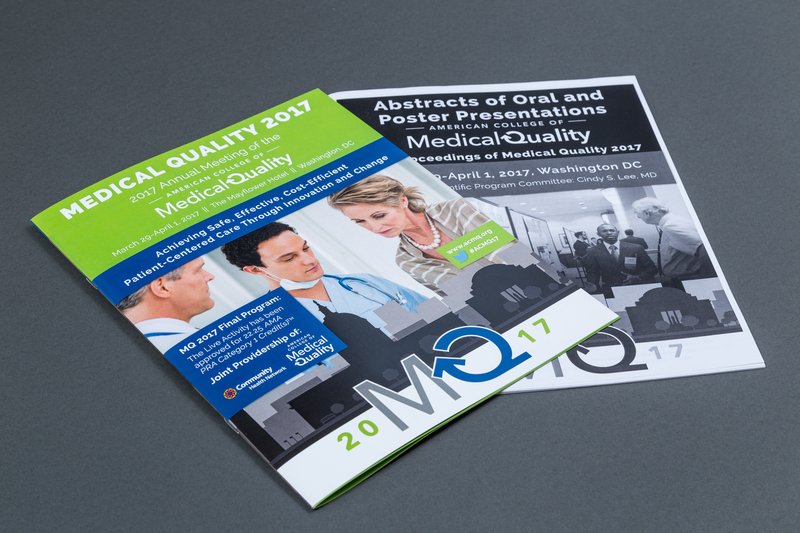 Additional materials for the meeting included a booklet of all oral and poster abstracts, print ads in journals, and web graphics promoting the meeting across a variety of platforms.